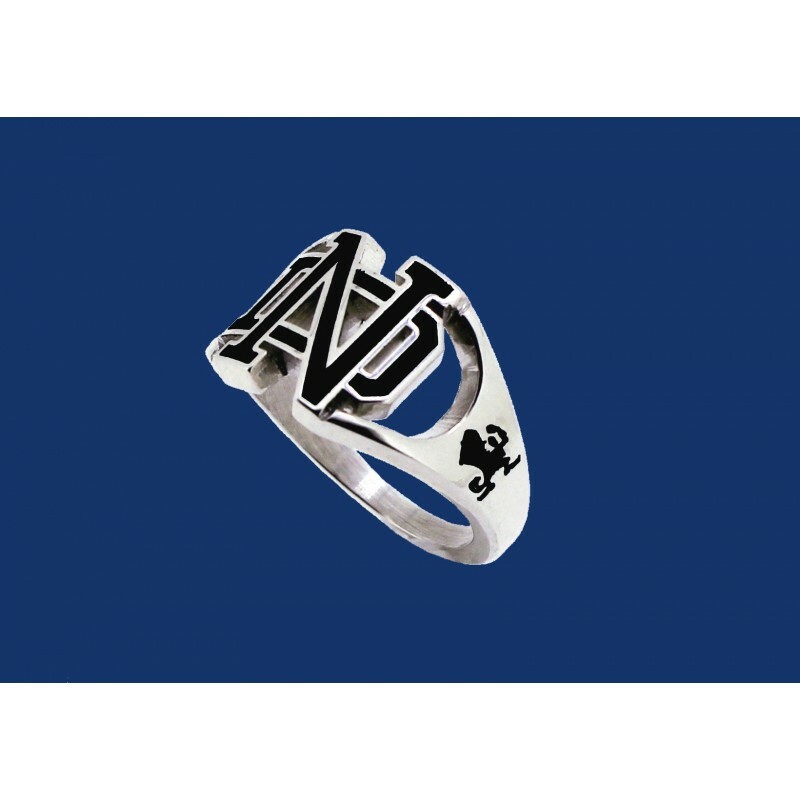 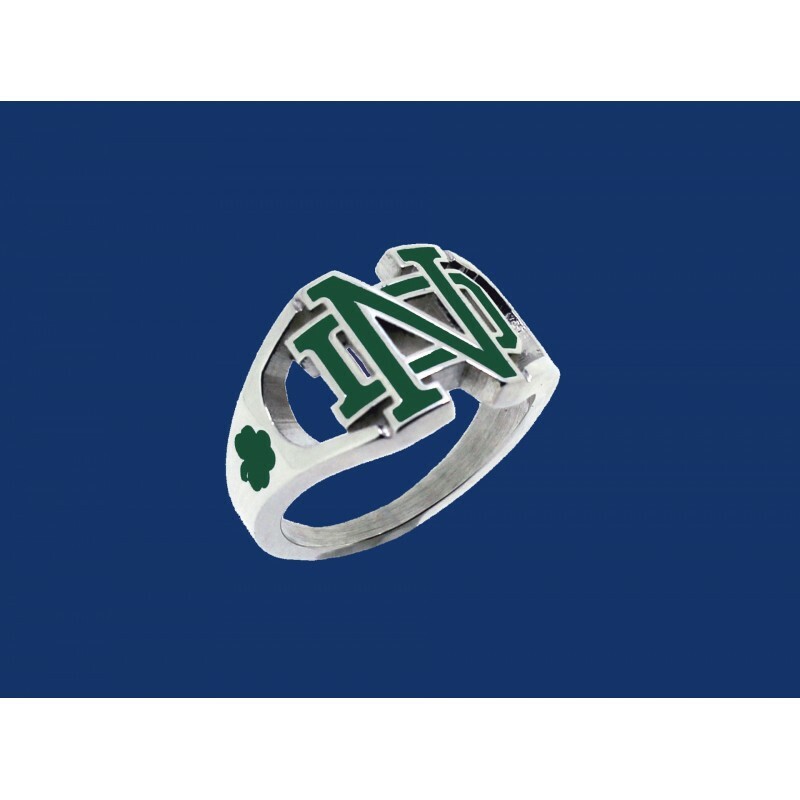 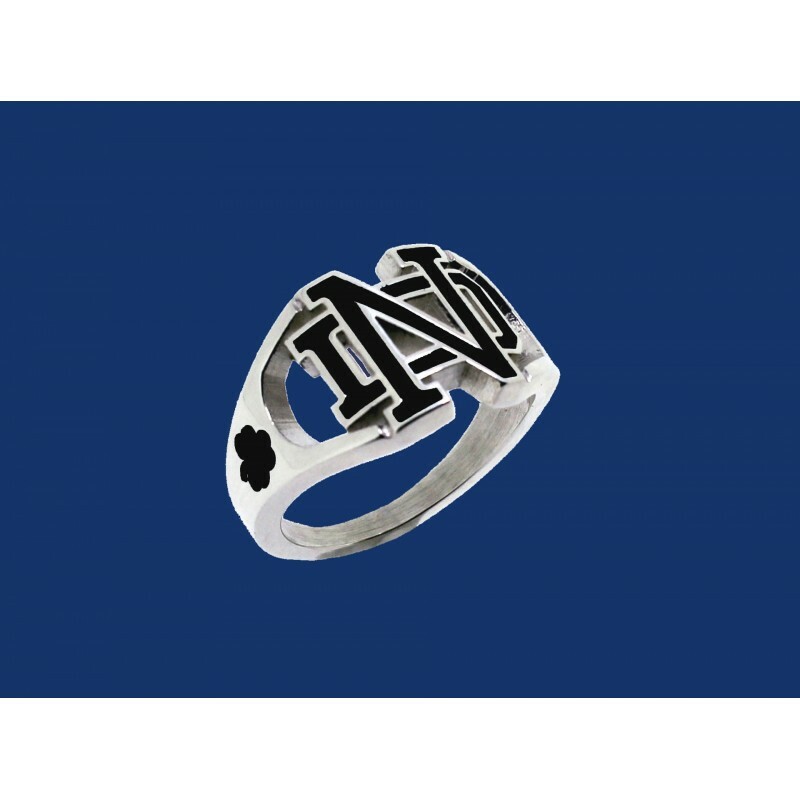 Men's sterling silver ND cut-out ring has the shamrock on one side and the leprechaun on the other. Top is approximately 5/8" wide from top of ND to bottom. 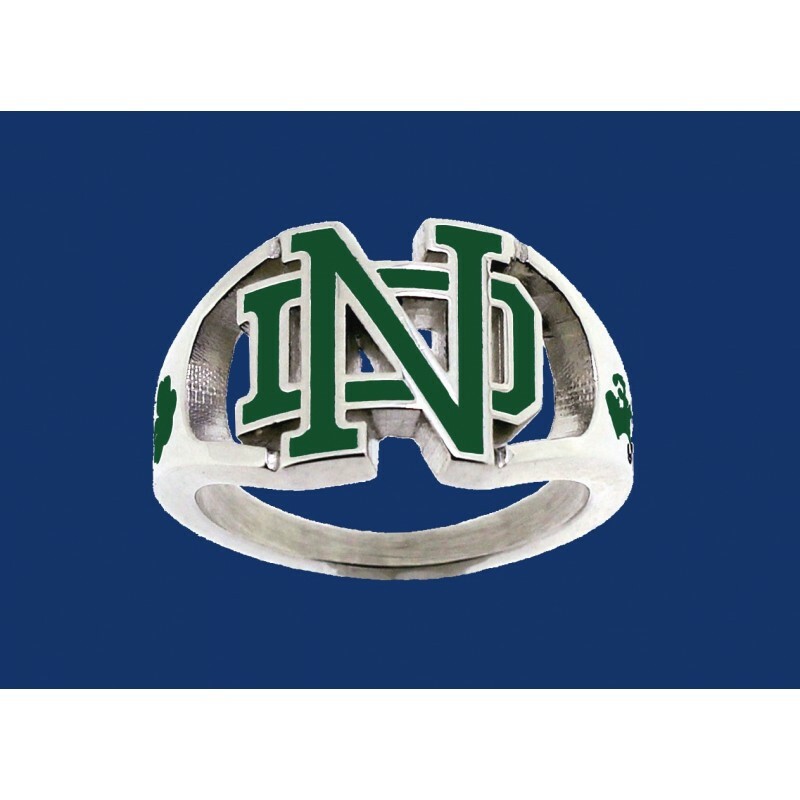 Choice of blue, green or black inking.